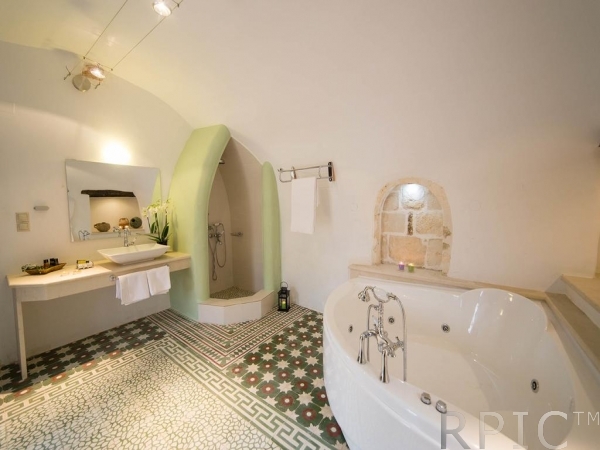 The interior of the villa is comprised of three cozy bedrooms, three luxurious bathrooms, a spacious living room, a fully-equipped kitchen, along with a big veranda on the upper floor, overlooking the swimming pool and the lavish gardens. The villa is elegantly decorated with old, rare, old-fashion Cretan furniture, specially constructed by selected Greek carpenters and craftsmen to resemble the furniture common of the era the house was originally constructed in. 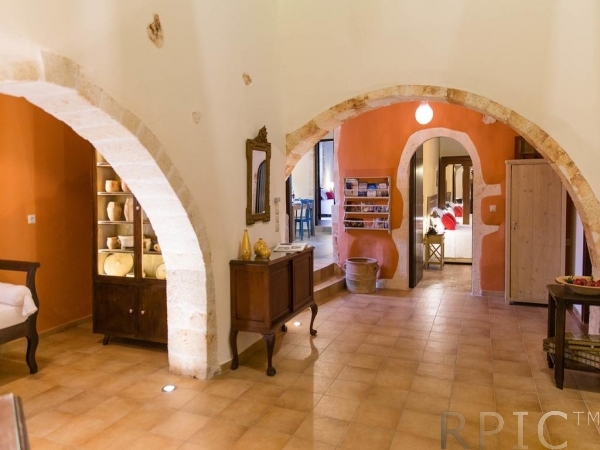 The indoor temperature of the villa is steady throughout the year, due to the thickness of its rocky walls and its well insulated wooden doors and windows. 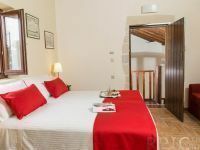 However, air-conditioning is available in the bigger rooms, along with two fireplaces, one in the living room, and another in one of the bedrooms. 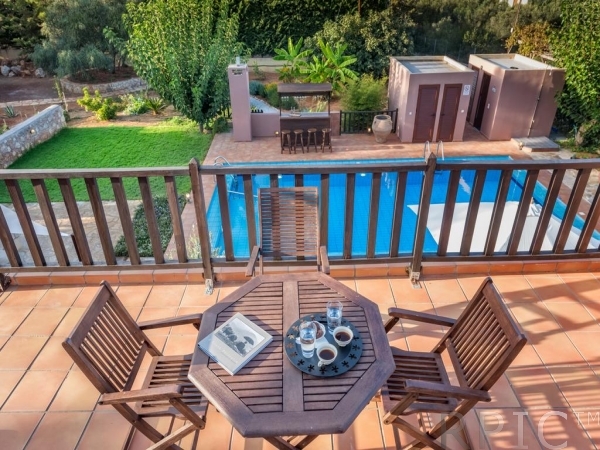 The exterior of the villa is comprised of a beautiful garden, a large swimming pool, a two baths, two changing rooms, sun beds, umbrellas, a sitting room, a children’s playground, a bar, a fully equipped barbecue, as well as tables and chairs under a pergola ideal for romantic dinners under the stars, and is fenced all around with bamboo to achieve privacy. 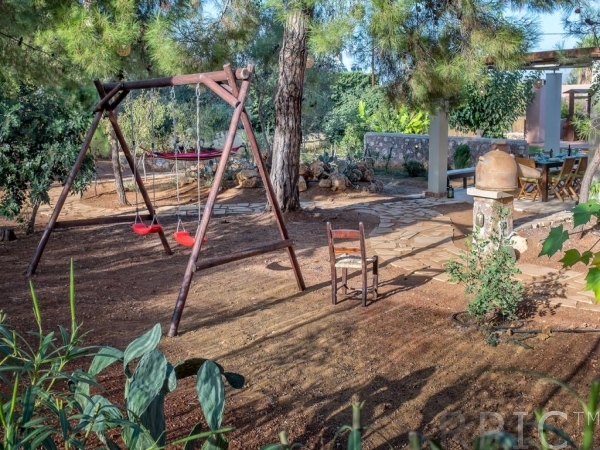 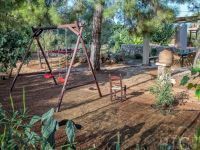 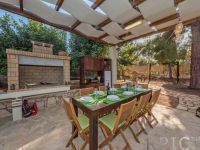 The backyard has impressive old pine trees, fig trees, olive trees, cactus plants, Cretan herbs, lawn and a colorful flower garden that can be explored through small paved paths, along with an organic fruit and a vegetable garden for the pleasure of the guests. 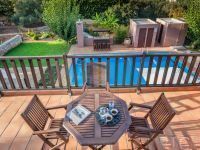 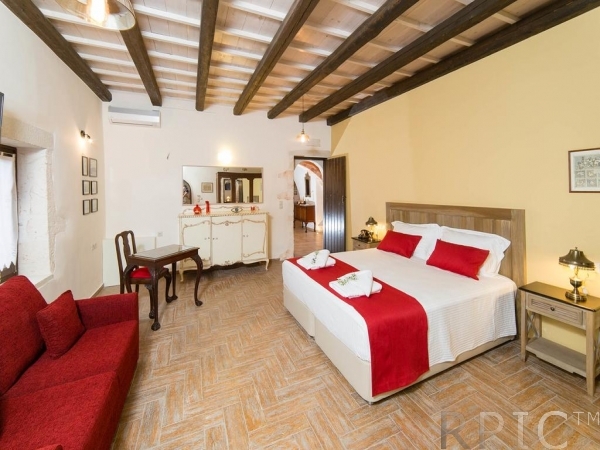 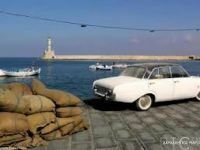 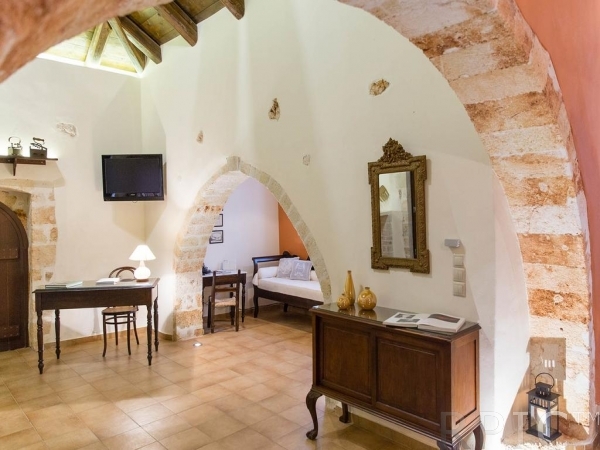 In the front side of the villa is free parking space for two cars, with a bus stop right next to it, connecting the villa to the city center of Chania on a regular basis. 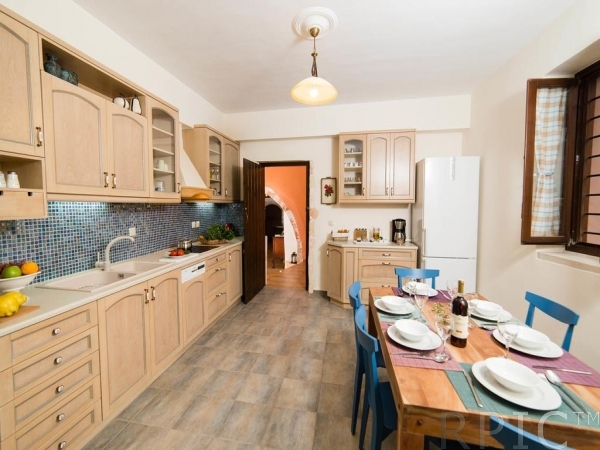 Villa Bliss is located in Korakies, Chania, right between the airport and the city center, and near Souda bay, which can all be easily reached in about 15 minutes by car or public transportation. 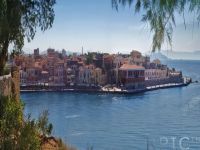 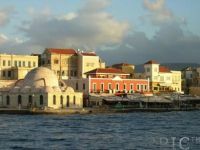 At a close distance to the villa are three of the most beautiful beaches of the prefecture of Chania, as well as places of archaeological and historical interest.